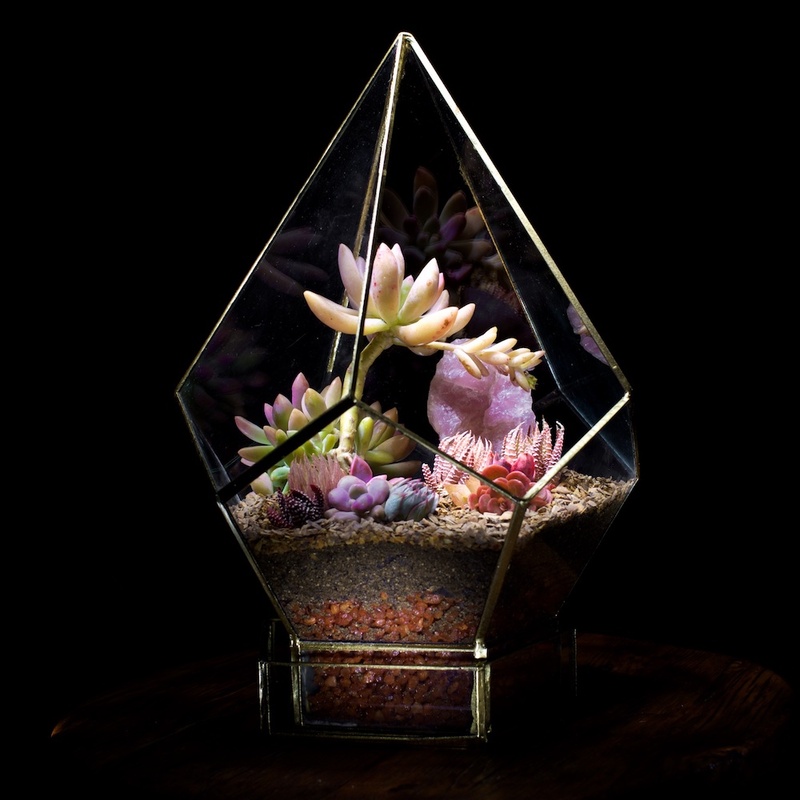 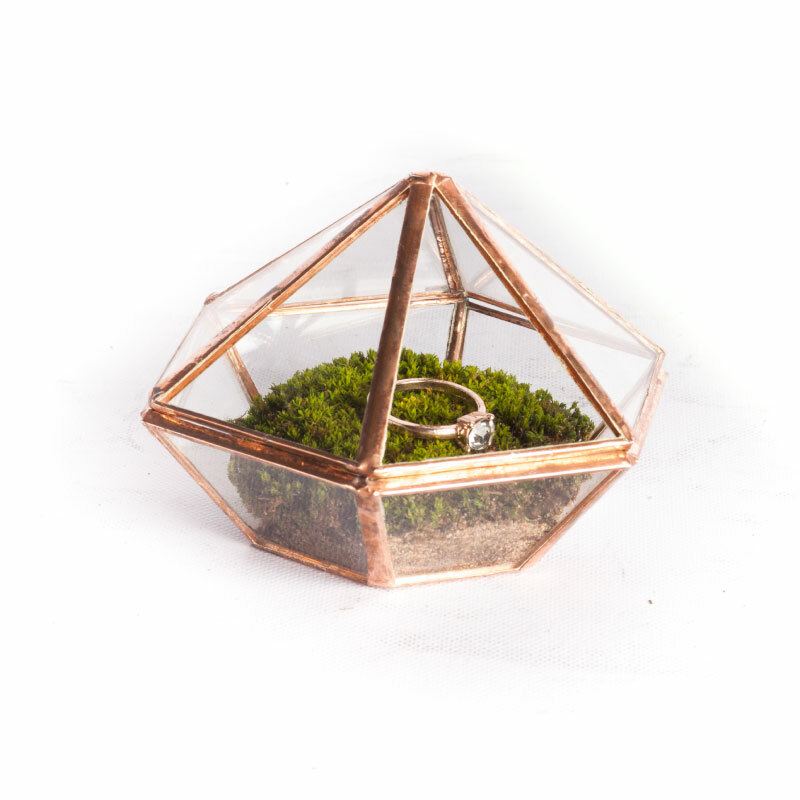 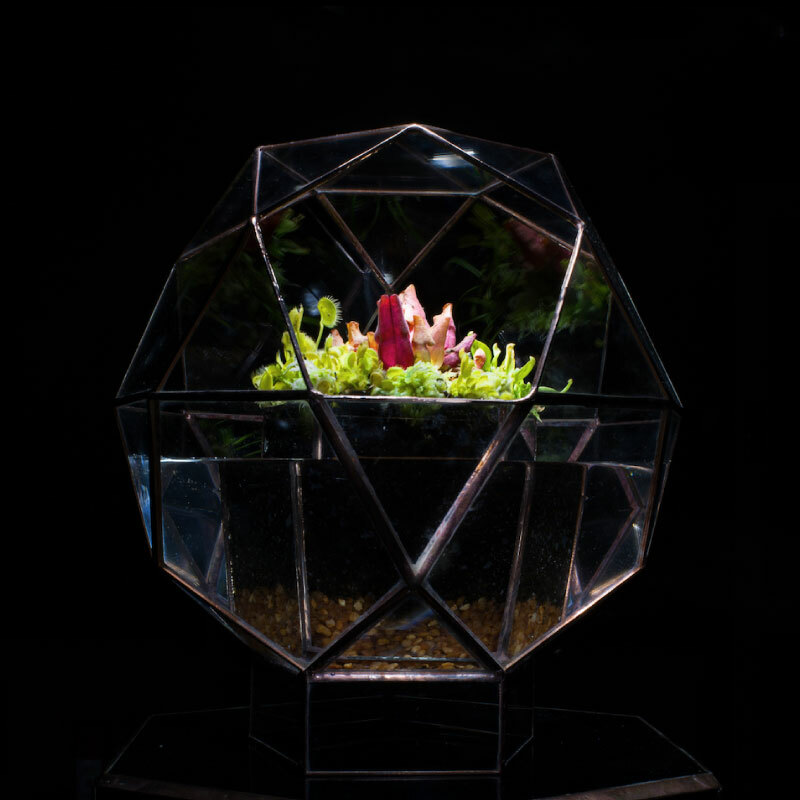 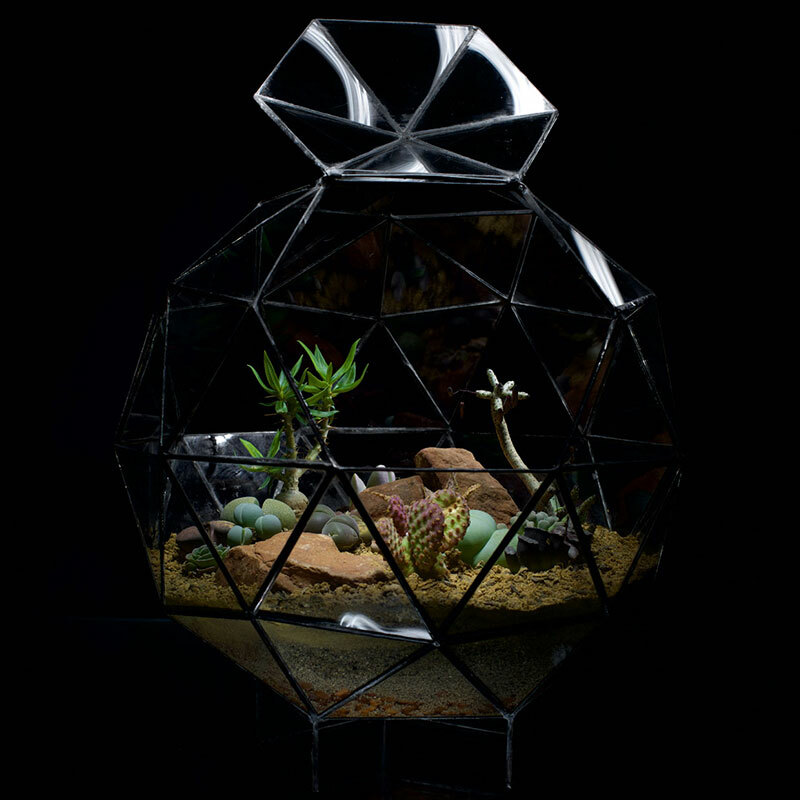 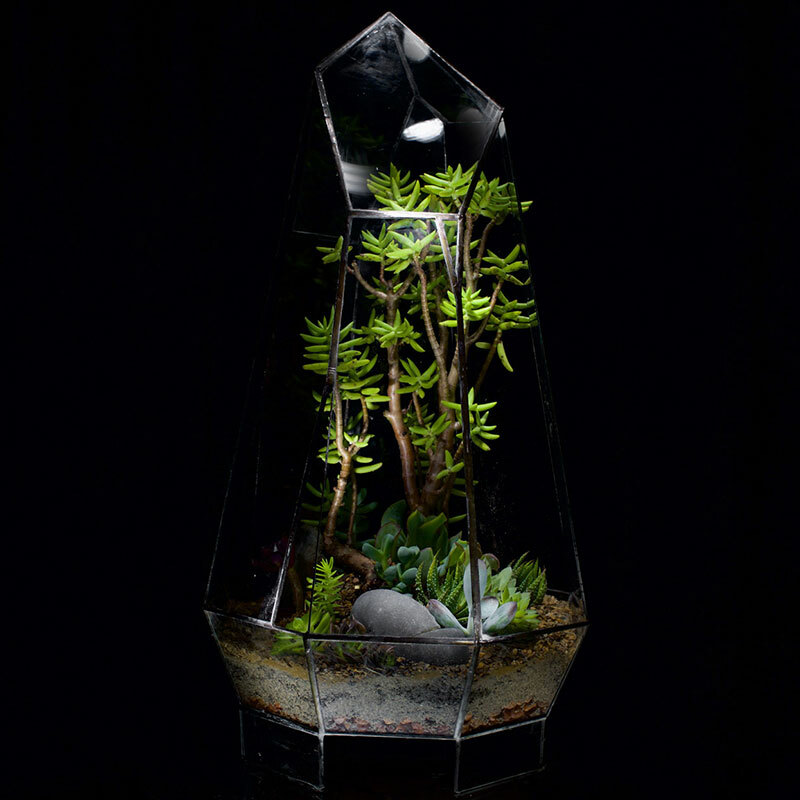 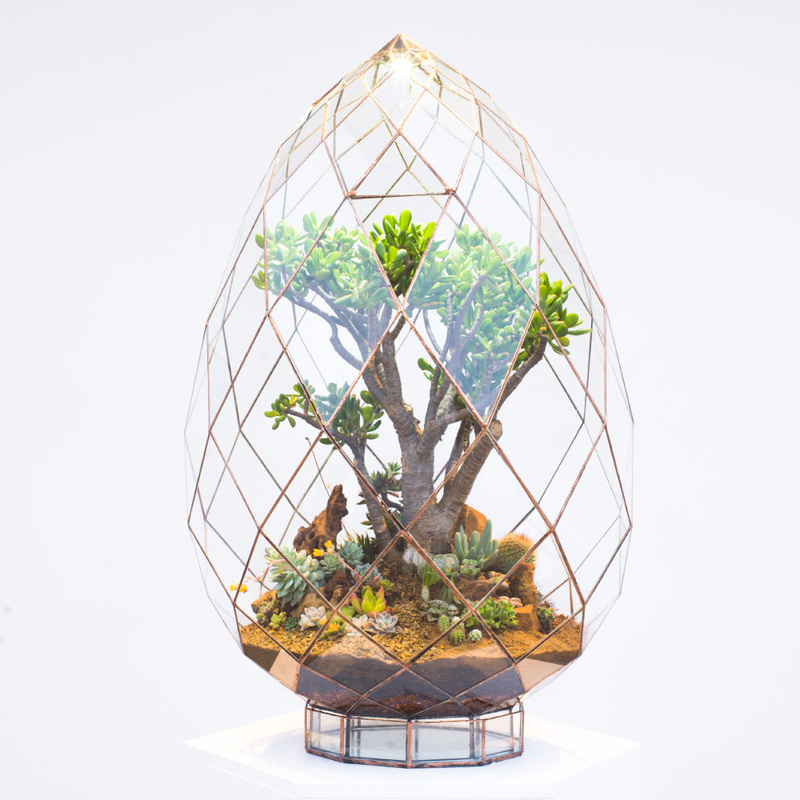 Dodecahedron Terrarium is made up of pentagon shapes. 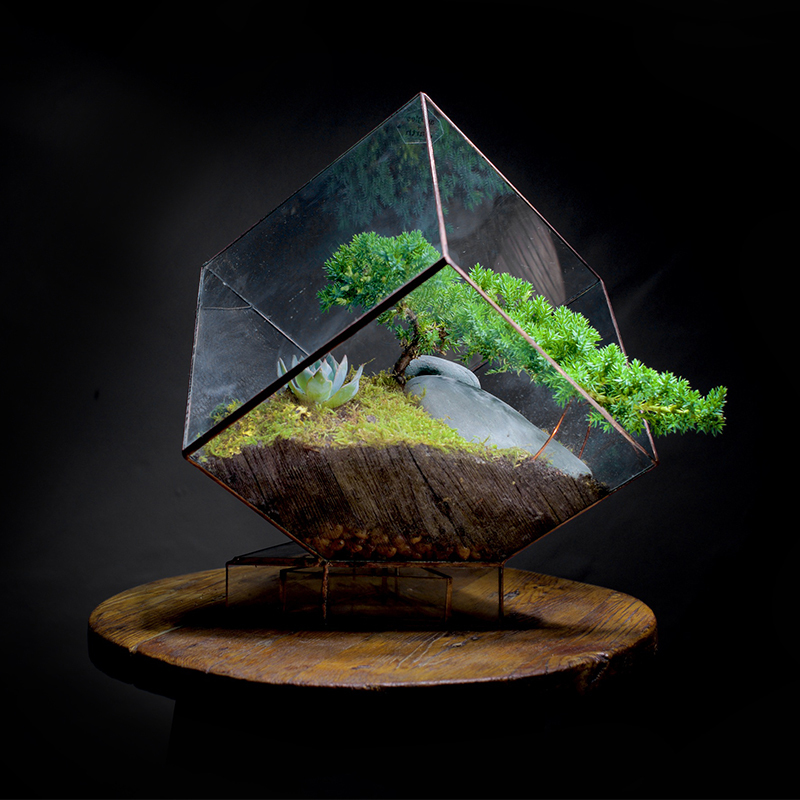 It’s uniform designs suitable for most landscapes. 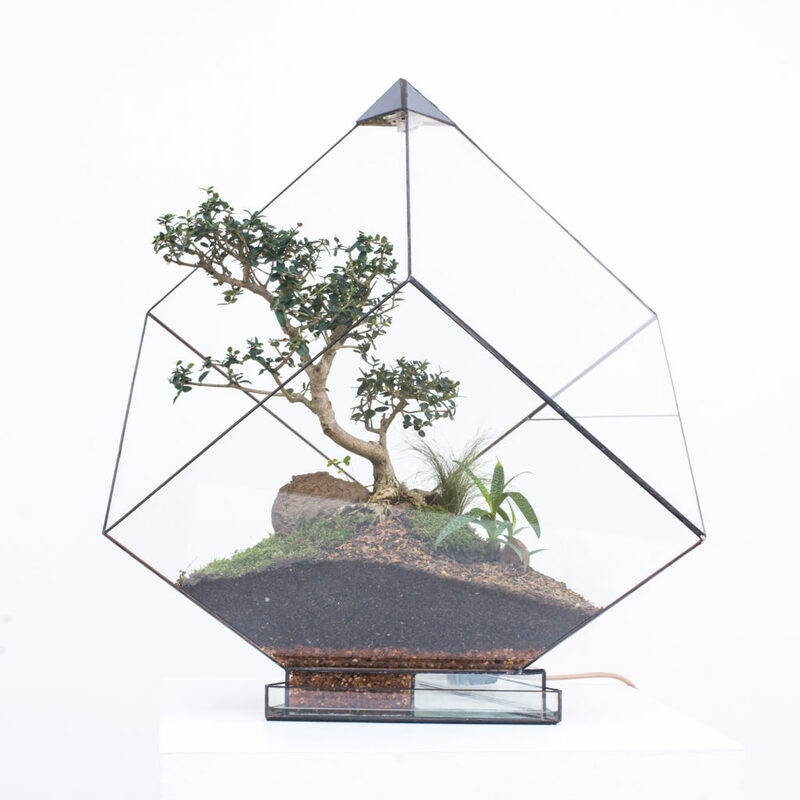 This shape comes in 3 different sizes.